GT- What's inside my bag? 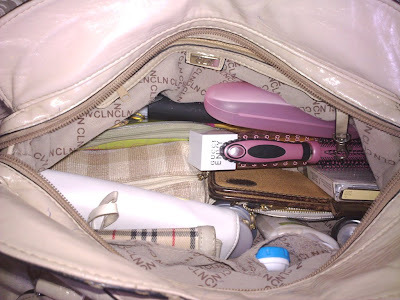 So, what's in my bag? For GT's sake I would reveal them to you. As you know, I am a huge fan of big bags. 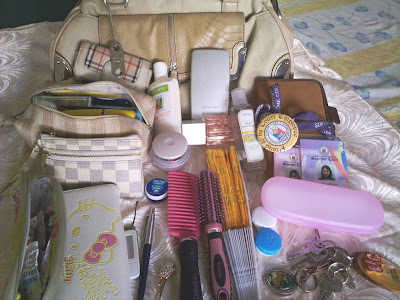 I felt that if my bag is small, my things would never fit on them and whenever my bag is very light, I felt that something is missing or lacking in my bag. 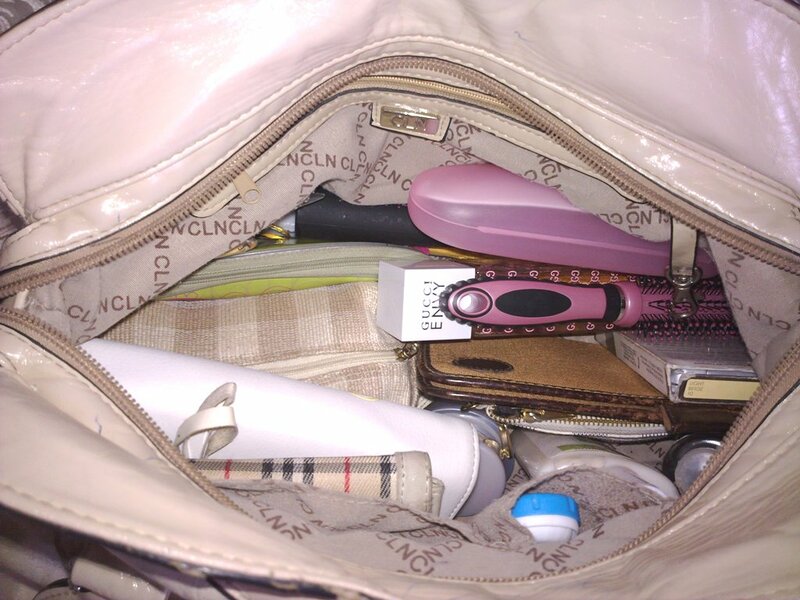 That's why I prefer to use big bags and compartments is a must. Maybe your thinking how this things could fit in my bag? I like big bags too. They are good for shopping. Hi sis! Pls visit Pink MagaLine and join my giveway. Thanks.